American Muslim women have scored significant victories in the 2018 US Midterm elections with both Ilhan Omar and Rashida Tlaib from Minnesota and Michigan winning their seats for the US Congress. Indeed, the dust has begun to settle on the US midterm elections, and American Muslims over-all have registered some significant gains at all levels of elected offices. “The Rise of American Muslim Changemakers: Political Organizing in the Trump Era,” a report on the midterm elections prepared by CAIR, Jetpac, and MPower Change identified 276 Muslims who ran for public office in this cycle, 177 men and 99 women or 64% and 36% respectively. According to the recently published report, the total number of Muslims elected to office was 131, an impressive percentage just below 50% of all the candidates who ran ended-up winning. This represents a very high and unique success rate considering the current cynical and Islamophobic atmosphere permeating the country. For Muslims and political parties alike, understanding and situating this development in the midterm elections is essential and what lessons can be deducted to better prepare for the 2020 cycle? One key race that garnered most national attention from American Muslim communities is that of Dr. Abdul El-Sayed, who ran for the Michigan governor’s office but lost. However, what is significant is that Dr. El-Sayed ran in the election while unapologetically Muslim: “Yes, I’m 33 years old. Yes, I’m Egyptian-American. Yes, I’m Muslim. We past that? Great. Now let’s start talking about solutions to problems Michiganders face.” Running for the governor’s office of a major state is a significant development no matter what the results and for a new comer into the political process. On the positive side, the next Congress will have the first Somali-American member, Ilhan Omar, who came to the US more than two decades ago as a refugee and now have risen to the highest echelons of America’s political elite. The same attitude of Dr. El-Sayed was evidenced in Ilhan Omar’s campaign and readiness to embrace her Muslim identity as a decisive and guiding epistemic throughout and post election. Indeed, Ilhan Omar, who will be the first woman in Hijab and one of the first two Muslim women to be elected to US Congress in 2018, demonstrated this unapologetically and natural attitude. Ilhan began her acceptance speech in Minnesota on the eve of November 6th, with a universal Islamic greeting “As-salaam aleikum,” then followed it by saying “Alhamdulillah, Alhamdulillah, Alhamdulillah,” three times. 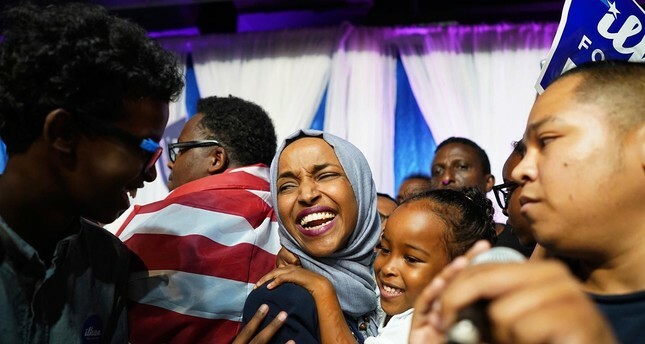 Ilhan’s greetings and Islamic expressions of gratitude garnered some negative reactions from the expected Islamophobic corners, but for the most part, it was celebrated in Minnesota and across the country. On the eve of the elections, Congresswoman-elect Omar posted on Twitter: “Congratulations to my sister @RashidaTlaib on your victory! I cannot wait to serve with you, inshallah. 🙏🏾,” which also used the Islamic term “God Welling,” one of the most commonly used phrases among Muslims. Here, the entry of Ilhan and Rashida into Congress reflects a shift not only concerning winning or losing elections but the arrival and inclusion of Muslims on their own cultural and epistemic terms. On her part, Rashida Tlaib’s victory witnessed another aspect of the emerging unapologetically Muslim, the identification rhetorically and culturally with her Palestinian background. “I ran because of injustices and because of my boys, who are questioning their identity and whether they belong. I’ve never been one to stand on the sidelines,” Tlaib said during the campaign. Rashida’s victory celebration reverberated and became “a source of pride for Palestine and the entire Arab and Muslim world,” her uncle Bassam Tlaib commented after the election. In Detroit, Rashida’s mother, family, and friends celebrated and danced and viewed the election of the first Palestinian American to Congress as a step in the right direction to represent both the local district’s concerns and Palestinians in the diaspora. From a political and organizational perspective, the 2018 midterm elections are a turning point for the American Muslim community due to the national scope and extensive mobilization at a grassroots level. More importantly, CAIR, Jetpac, and MPower Change report show that the American Muslim community was able to bring about “a significant rise in voter turnout.” Furthermore, the “newly activated political base translated into direct political support in the form of votes, finance, or in-kind contributions,” which turned to $16.2 raised between the 2016-2018 election cycle, a critical qualitative and quantitative shift in the strategic investment of the community. The ability to raise such amounts for an election cycle gives the community an independent source of funding and readiness of Muslim candidate to take bolder positions while running for office. Elections and politics boil down to votes and funding for campaigns, the American Muslim community have demonstrated the ability to bring both into contests across the country. The spectrum of Muslims running for office included African Americans, Palestinians, Somali, Syrians, Pakistanis, Afghans, Latinos and other diverse sets of candidates that represent the changing demographics landscape in the country and reflect the potential for Muslims future political horizons. Indeed, the Muslim “political candidates were grassroots oriented, non-institutional, and often faced opposition from established political actors,” but the wind of change that brought about victory at the ballot box will force political parties to reassess their strategies in the lead-up to the 2020 election cycle. The Republican Party has lost the American Muslim community and other minorities with their appeal to Whites, old-men and un-educated population identity constructs. Here, a note of caution is essential as this midterm election reflect a normative pattern in US election cycle since the party that holds the White House often loses seats in the Congress and Senate to the opposition party, the Democratic Party in this case. 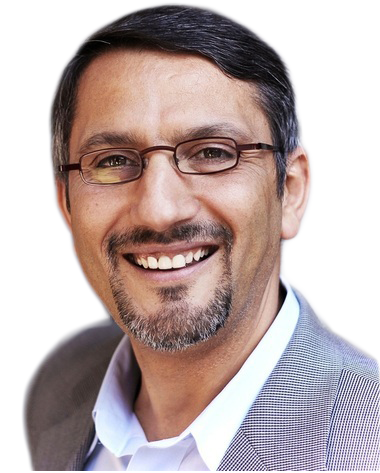 The challenge for the American Muslim community is whether it can continue to engage and activate the “new political bases” for the foreseeable future and sustain this drive financially. The report points out that “most American Muslim candidates reported that Trump-era Islamophobia motivated them to enter formal politics,” and “their faith motivated their agenda, but did not define or limit it.” Consequently, questions must be asked as to how the community harnesses the mass mobilization, grassroots organizing and financial contribution beyond a Trump’s presidency and would a total embrace of the Democratic Party be sufficient for American Muslim empowerment. The road ahead for the American Muslim community is tough and challenging, but the bold entry of Muslim candidates into the electoral fray and winning as Muslims is a significant development in the current Islamophobic social imaginary dominating the public discourse. Muslim “candidates reported that their faith values guided their social justice orientation by prioritizing human welfare and social equity” which moving forward, possibly, could be translated into a unique Muslim brand of social justice and engagement. Not to imply that a total shift to the Democratic Party is a safe harbor, far from it, as Democrats have exhibited as much Islamophobia and marginalization of communities of color as Republicans but they are far more sophisticated in using liberal discourses and demanding conformity on all issues. In the age of Trump’s Muslim ban, the Democratic Party today has embraced Muslims as a counter-narrative to White Supremacy and Nationalism, but the community must be aware that the utilitarian embrace is fraught with inherent contradictions and momentarily. 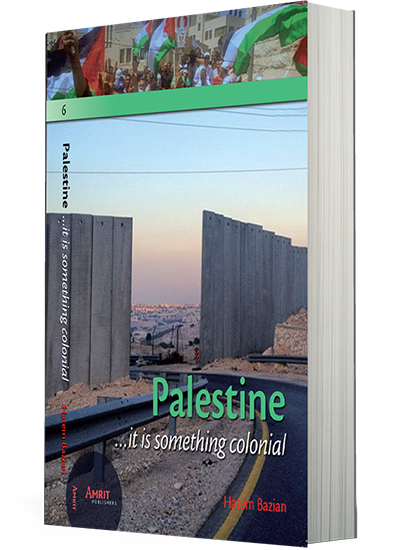 The contradiction includes the insistence on Muslims acceptance of certain social norms, support of militarism, uncritical adoption of neo-liberal economic modalities, interventionist foreign policy, and the never-ending unconditional support for Israel. Muslim candidates won their elections due to their skill in mobilizing in districts that had a critical mass of Muslim population that is diverse and highly connected to the broader community economic, education, healthcare and rising tide of racism concerns. Thus, the success correlates positively with demographic shifts in those districts and the ability of American Muslims to step forward and build an alternative grassroots coalition that contested the existing institutional machinery of the Democratic and Republican Parties. Possibly, the American Muslim community is part of the re-Orientation and re-Making of the Democratic Party itself, a process that has started in the 1960s with the Civil Rights Act and is still ongoing today. The next chapter in America’s democracy will have American Muslim faces imprinted on it as well as a diverse set of communities working to make America live-up to its inclusive, fair and justice-based ethos.